Mary is one of the founding partners of Ketley Miller Joels LLP, a special Family Law practice. She initially trained as a teacher, and worked in schools and later colleges. 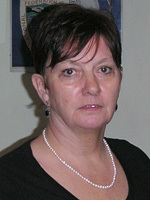 She converted to Law in 1990, and in 1993 started her legal career with articles in a London practice. Since completing articles she has specialised in Family Law. 1994-2000 Whittington Hospital NHS Trust in conjunction with Southbank University. Lecturer in Children Act, The Legislation relevant to Psychosexual Therapists/Psychotherapists, Family Law. Contributor to child protection policy - Buckfast Abbey, Devon. Mary has known Judi Keshet-Orr for some 30 years, providing input on the variety of training events they have run.